First, assuming there's not one already, I think there should be a COS Forums group on Facebook. It'll be a way for all of us to keep in touch with each other, add each other as friends, continue discussions, etc. Of course, the thread system on Facebook is nowhere near as good as on an actual message board, which brings me to my next suggestion: Someone can set up one of those free-to-host forums (like ProBoards) to keep the actual forum alive, albeit in a different form. Those boards are not quite to the quality of what we have here on the current forums, but that downgrade would certainly be better than allowing the community to die altogether. I would go ahead and start one or both of these up myself, but alas, my time here has been rather limited and I really only know a handful of people here (and those few I know aren't even on Facebook, to my knowledge). Would someone with a lot more connections here and charisma be willing to start one or both of these new community spaces? I am of course willing to help in whatever way I can. And do people have other ideas for how we can keep going after this place is shut down? Last edited by Melaszka; April 8th, 2013 at 12:01 pm. For reasons of personal safety (especially when it comes to our youngest members) and privacy, can we a bit careful about encouraging link-ups on social networking sites where you register under your real name or give out other RL private data, like e-mail addresses etc.? Please don't post direct links to Facebook groups etc here - don't forget that this is a public forum and anyone could be reading this. Last edited by Melaszka; April 8th, 2013 at 12:57 pm. CoS itself once rose as a phoenix from the ashes of a failed forum. Maybe someone is able to breed a new phoenix from ours (even if we didn't fail, just waned away). I wish anyone who wants to try good luck! Would it be alright if people arranged Facebook stuff via owls? Avatar courtesy of mirrormere - many thanks are due! 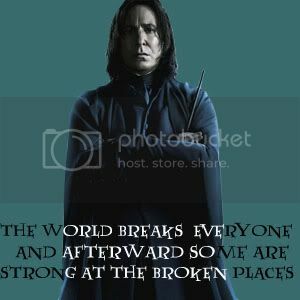 Is it only for CoS Hogsmeaders ? Arry's forum? No. It's for everyone. @Rew: If you have a technical problem, you can owl Arry. He's one of the nicest people on CoS. I'm sure he'd be glad to help you. Last edited by ccollinsmith; April 8th, 2013 at 10:10 pm. No, it is not required even though it says so. Registration is a bit quirky over there since I can't control it. You can find more infomation on the site. If you ever get weary of Downing Street, (yes, we all know you're the one responsible for that latest incident), there's this little place across the pond in DC commonly referred to as the White House that could certainly use someone with your rather unique skillset. If the White House were to look more like..oh..say a log cabin..well, it's just an idea. What would make a good name for the new forum? 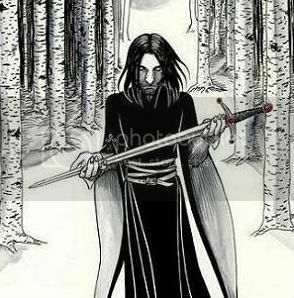 Given the number of topics that derail into discussions on Snape and the Marauders, we could call it "Prisoners of the Half-Blood Prince." That's not a good name? I LOVE the site! I shall join up once I'm on a proper computer and willing to help in any way I can.